These sea turtle pictures will give you just a glimpse of just how amazing these creatures are! Sea Turtles have and will always be an important part of the ocean’s ecosystem. They have been recorded to be around for 100 million years! 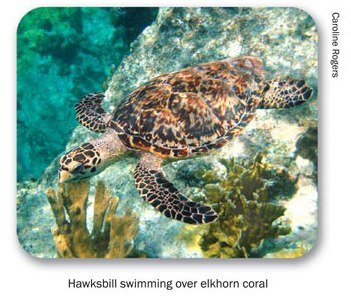 There are 5 species commonly seen in and around the Caribbean region. Some of the species listed are critically endangered. We have the power and the responsibility to future generations to ensure the safety and preservation of these sea turtles. Leatherback turtles are the largest of all sea turtle species. Their name originates from their dark, rubbery shell, which measures over 1.5 metres and can weigh up to 1980lbs. They are capable of diving to more than 1200 metres. And now they are on the edge of extinction. 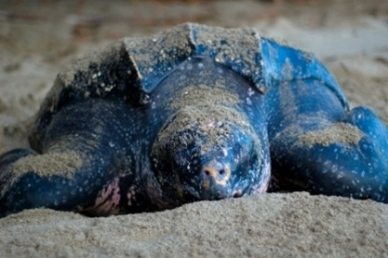 This species is under pressure due to egg poaching and increased turtle meat demand. Conservation organisations have been created to help countries understand the importance of preserving leatherbacks. It is possible to safely see these turtles as they migrate to nest without interrupting their routine. The nesting begins when a leatherback, emerges from the sea. Females are the only ones that come ashore, they using their large front flippers to haul themselves up onto the sand. 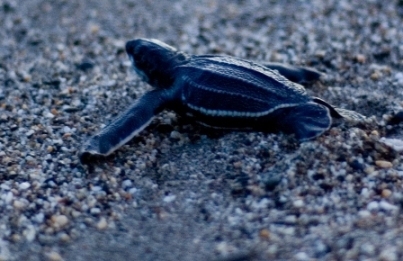 Did you know that 80% of leatherback nesting takes place in Trinidad & Tobago? Approximately, 6000 make their journey to this island's shores annually. Some turtle nesting countries in the Caribbean include, St. Lucia, Puerto Rico, Trinidad & Tobago. Hatchlings take about to 2 to 3 months to hatch and not all make it out to sea, since many vultures prey on the defenseless. Those that do make it safely into the water and make it to maturity (approx 1 in 1000) only return years later to nest on the exact beach they were born! Hawksbills are easily identified by their pointed face, distinct over-bite and 2 pairs of scales between the eyes. They are usually seen on coral reefs however, their numbers have also decreased over the years and they are critically endangered.